I didn’t even realize that was today. 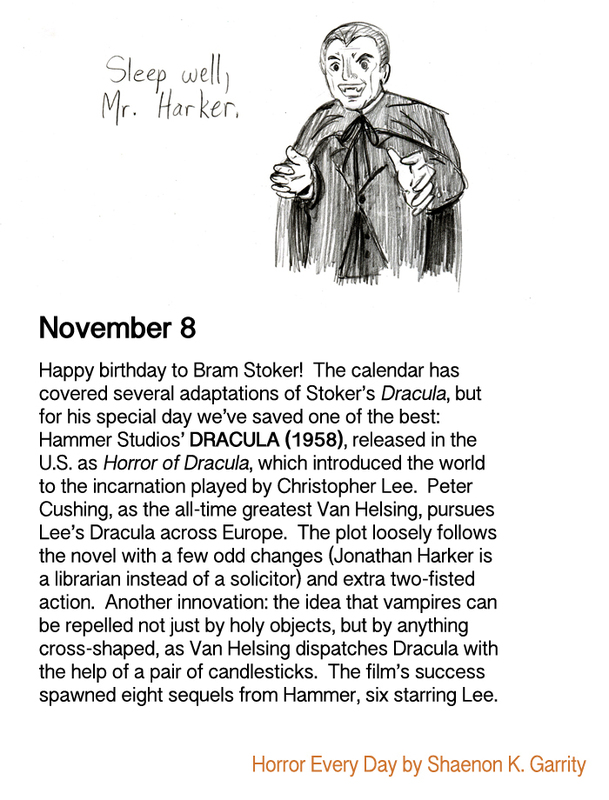 If I’d known, I would have held off another day on watching Bram Stoker’s Dracula. The Hammer version is probably my fave, tho. Not much can compete with Lee and Cushing starring in something together.